The Accounting Research Institute (ARI) congratulates three UiTM scholars and researchers who have been chosen to participate in the Erasmus+ Staff Mobility for Teaching Mobility programme that has been initiated by Burgas-Free University in Bulgaria. Burgas Free University has been awarded the Erasmus Charter for Higher Education (ECHE) for the full duration of the Erasmus+ programme 2014-2020. The ECHE provides the general quality framework for European and international cooperation activities to be carried out within the Programme. In September 2014, Universiti Teknologi MARA through the Accounting Research Institute signed a Memorandum of Understanding (MoU) with Burgas Free University. Apart from research collaboration, the MoU proposed staff exchange program, hence Burgas Free University made an application for the Erasmus + Staff Mobility for Teaching Mobility programme. 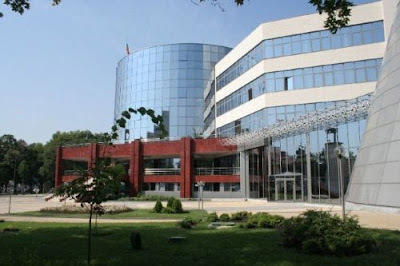 Three academic staff from Burgas Free University who will be visiting Universiti Teknologi MARA between May to July 2016 are namely Professor Milen Baltov, Professor Lina Anastassova and Associate Professor Dr Tatyana Kotzeva. Meanwhile, UiTM will be sending Associate Professor Dr Mohamad Abdullah Hemdi, Dean, Faculty of Hotel Management and Tourism; Associate Professor Dr Faizah Darus, ARI Senior Fellow, and Associate Professor Dr Haslinda Yusoff, ARI Associate Fellow. The trio will be visiting Burgas Free University for a duration of one week between May to September 2016.